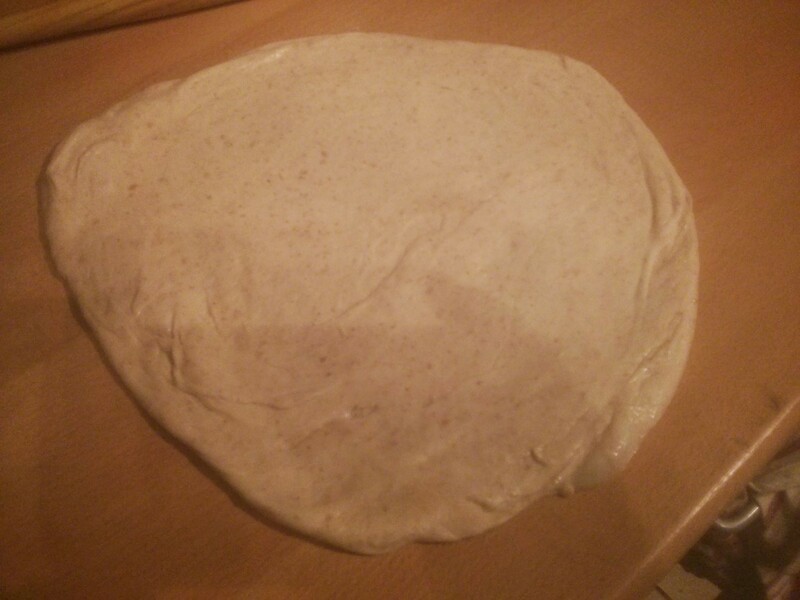 To go with tonight’s Curry Goat I’m making ‘bus up shut’, which is apparently a traditional Caribbean bread served with curry goat, and reminded me of the Indian paratha when I saw it being made on TV. I can’t even remember what TV show it was, certainly not the details of the recipe, so I’m going to be following this recipe I found online. So… “bus up shut”. Soph tells me this is patois for “bust up shirt” as in if your shirt gets ripped up by the washing machine… it would look like this bread. You learn something new every day (well you do if you’re doing life right!). So the above recipe? 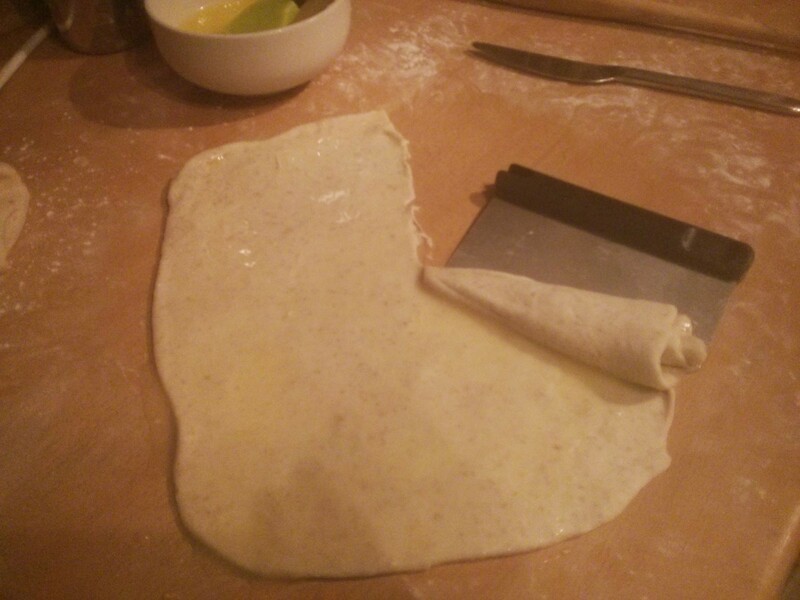 Needs like 2-3 times as much flour… eventually we get to this. 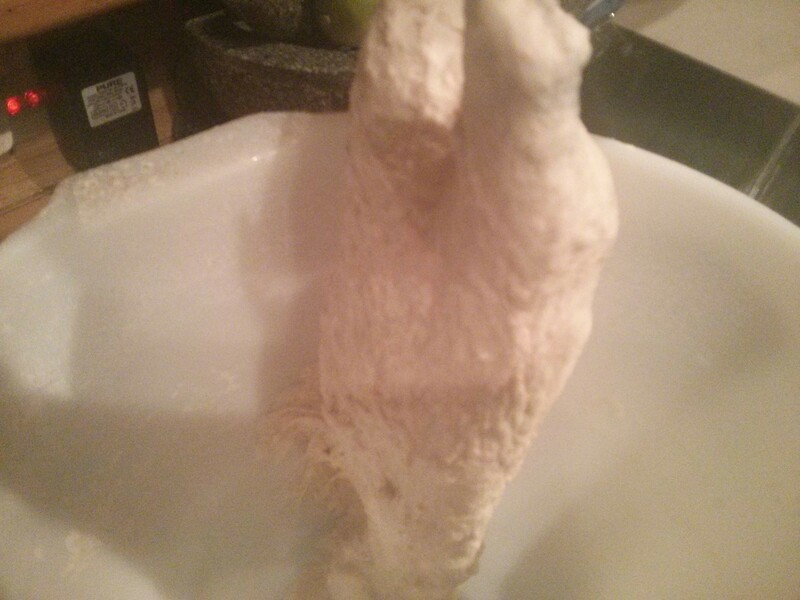 I made half the amount from the recipe… well half the water at least… loads more flour. 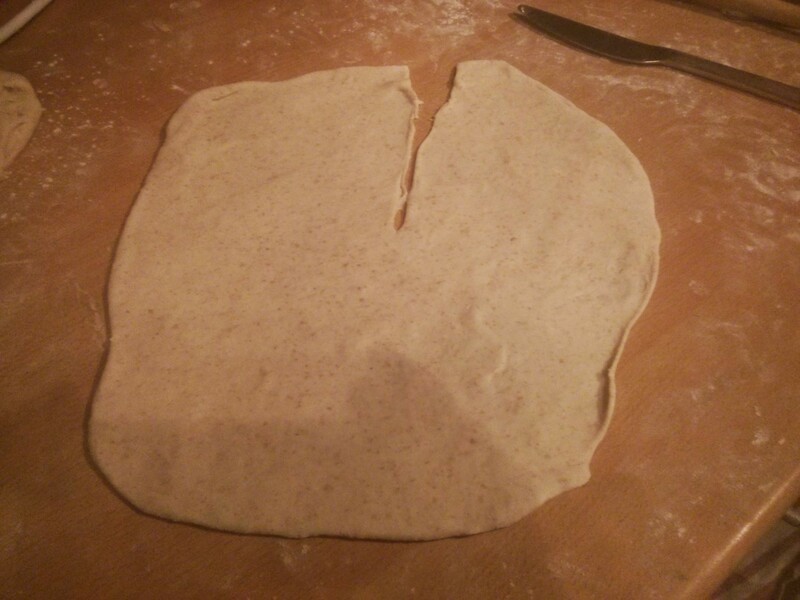 Anyway… split into four, leave for 15ins, then roll out, and cut into it. 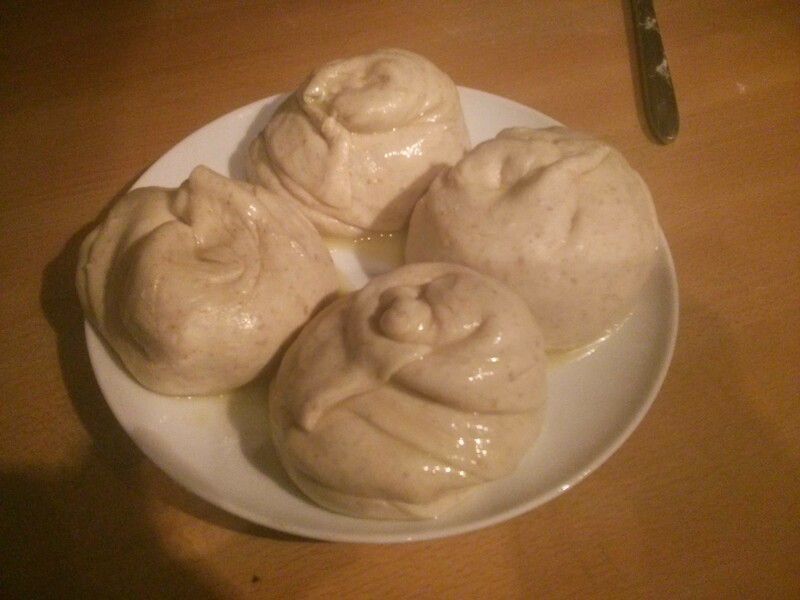 Then brush with a mix of oil and butter (mmm… fattening…). Then roll around the clock. 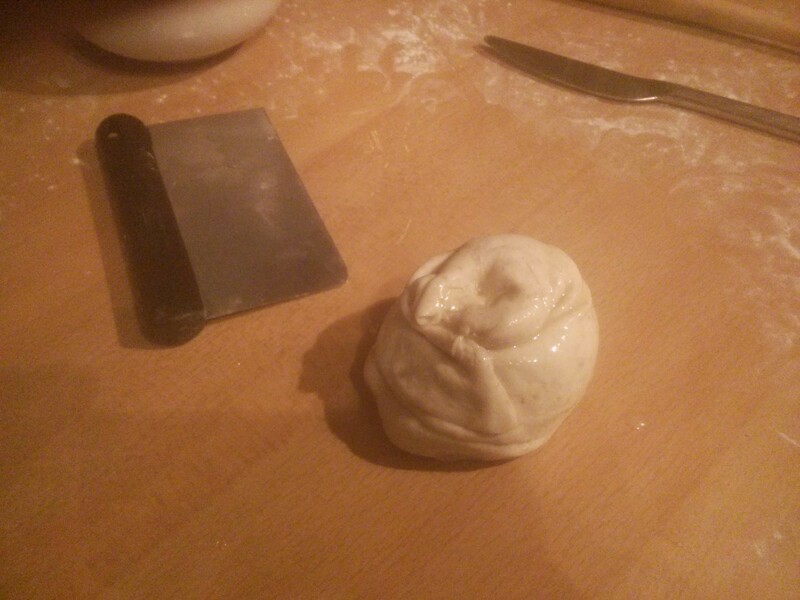 Once it’s all in a cone shape, push it down into a blob. 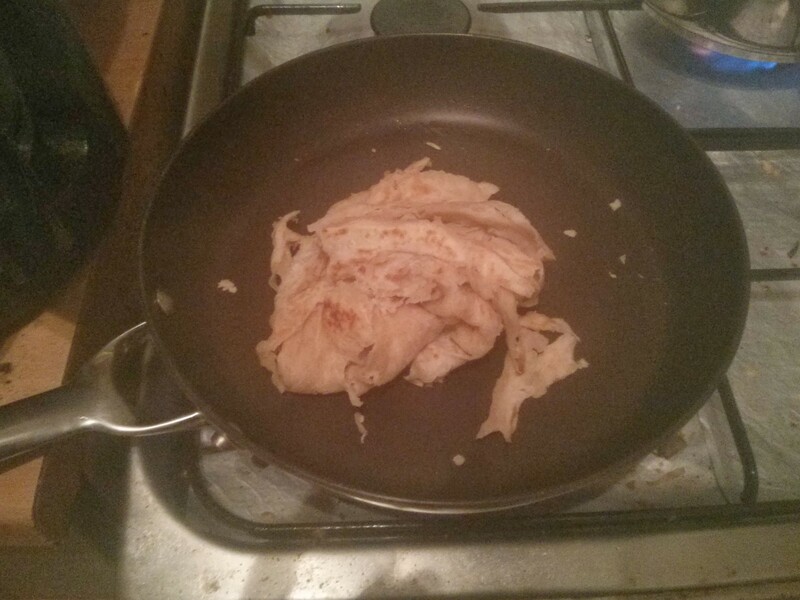 Fry in a non-stick pan. Brush top with more butter/oil mix before flipping. Then break it up into a messy pile… hence bus up shut! And yeah… it’s buttery and bready. How can you go wrong! #Delicious! I’ve studied all your recipes now. This one, Bus Up Shut Roti, was unusual but as long as it tasted good, that’s all that matters. Out of all this week’s recipes the ginger shortbread was my favourite. I will look out for goat meat. I’ve never noticed it for sale. I haven’t made any rye bread this week because I was at Geordie’s.